The USGBC-Missouri Gateway Chapter’s Membership & Marketing Committee is excited to announce a third 2017 membership contest! If you’re a current member and you encourage a friend or colleague to join, you’ll also be entered into the raffle – once for each new member you refer. The member making the most referrals will win a Forest Park Forever membership! Winners will be drawn on October 10 at our monthly evening program Sustainable Risk Management and Disaster Response. Membership makes the USGBC-Missouri Gateway Chapter’s work to support buildings of all kinds to green their design and operations possible. Join to show your support of our efforts to green the places we all love! 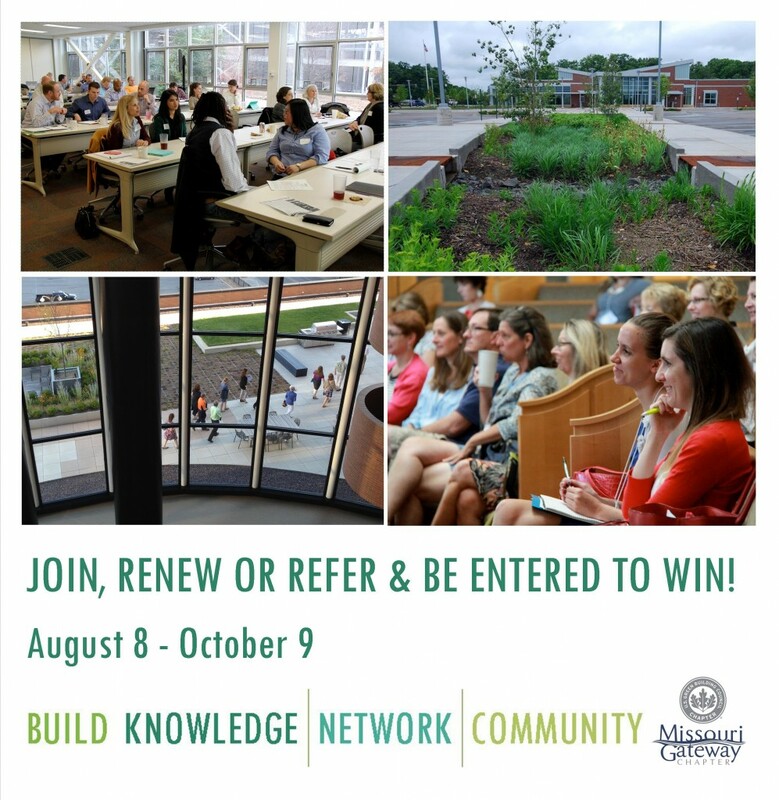 And membership benefits you as well; join to receive free or reduced entry to all of USGBC-Missouri Gateway Chapter’s educational events, access to opportunities to build relationships with our community of almost 500 members, and eligibility to serve on Chapter committees, community projects, and board of directors. Build your knowledge, build your network, and build your community by becoming a USGBC-Missouri Gateway Chapter member! Join the USGBC-Missouri Gateway Chapter or renew your membership to be entered into a drawing for the prizes listed below. Encourage a friend, colleague or contact to join! Current members that are listed in the “who/what encouraged you to join” field of the membership application will be entered into the drawing once for each member they refer. Many thanks to the following for their prize donations! 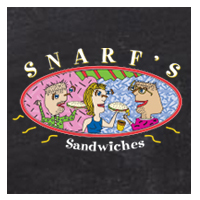 Snarf’s Sandwiches, with 3 star Green Dining Alliance certified locations in the Loop and on Skinker. Your dining decisions matter! 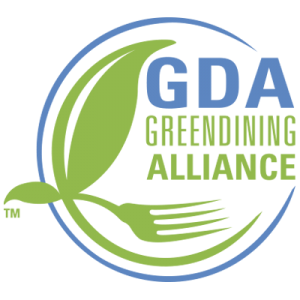 Choose one of the over 100 Green Dining Alliance certified sustainable restaurants for your next dining experience. 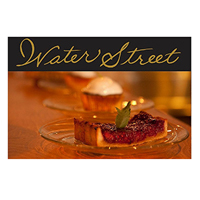 Water Street, a 3 star Green Dining Alliance certified restaurant. Your dining decisions matter! 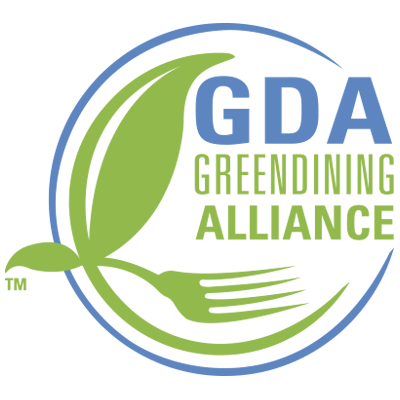 Choose one of the over 100 Green Dining Alliance certified sustainable restaurants for your next dining experience. A study by the Department of Energy found that in green buildings net operating income was 28.8% higher than in non-green buildings. Missouri has more green buildings than Tennessee, but far fewer than Maryland. The residential and commercial buildings in the U.S. consume about 40% of the nation’s total energy consumption. Green buildings use less energy, improve occupant health and productivity, and lower ownership risk. However, until recently researchers have lacked sufficient historical data to analyze the link between energy efficiency and financial performance because the information has been proprietary. Market value per square foot was greater than $400. Rent concessions in the building were greater than $0, but less than $3 per square foot. Monthly rent in the building was greater than $6 per square foot. Occupancy in the building was greater than 50%. The authors then divided the buildings into two groups: buildings were “green” if they had an Energy Star score of 75 or higher (a measure of energy efficiency compared to other buildings of the same type) or if they had achieved LEED Certification. A discussion of what these criteria mean is below. Buildings were “non-green” if they did not meet either criteria. The result was 2 groups of buildings, green and non-green, each with more than 60 buildings in it. Table 1. Comparison of Green and Non-Green Buildings on 6 Financial Performance Metrics. Source: Department of Energy, 2017. Table 1 gives the results. Green buildings had higher market value, higher net operating income, higher rent, lower rental concessions, lower operating expenses, and higher occupancy rates. The differences in operating expenses and net operating income achieved statistical significance (p = 0.0089 and 0.0015 respectively), and the difference in market value approached it (p = 0.094). Looking at Table 1, what jumps out is that net operating income was 28.8% higher in green buildings. Most of the increase seems to have come from reduced expenses, with a smaller contribution coming from increased rents. Table 2. Source: Miller et al, 2008. The Department of Energy study is not the only study to suggest better financial performance from green buildings. 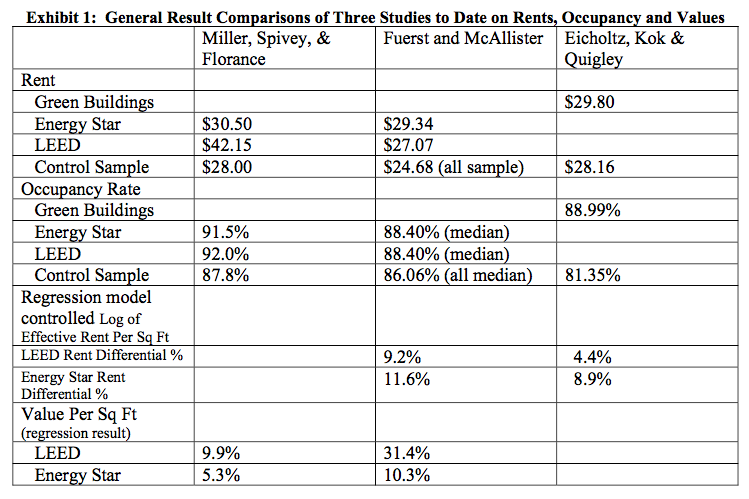 Table 2 summarizes results from 3 additional studies, all of which found that LEED and ENERGY STAR buildings generated higher rents, higher occupancy rates, and higher value per square foot. 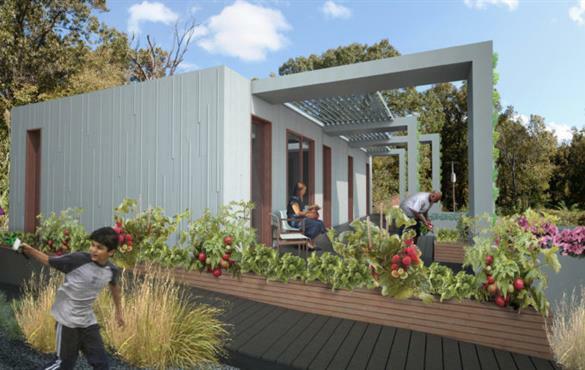 So how many green buildings are there in Missouri? A database operated by the U.S. Green Building Council lists 389 LEED certifications in Missouri, covering 35.27 million square feet. Tennessee, Missouri, and Maryland are the 17th, 18th, and 19th most populous states in the country. 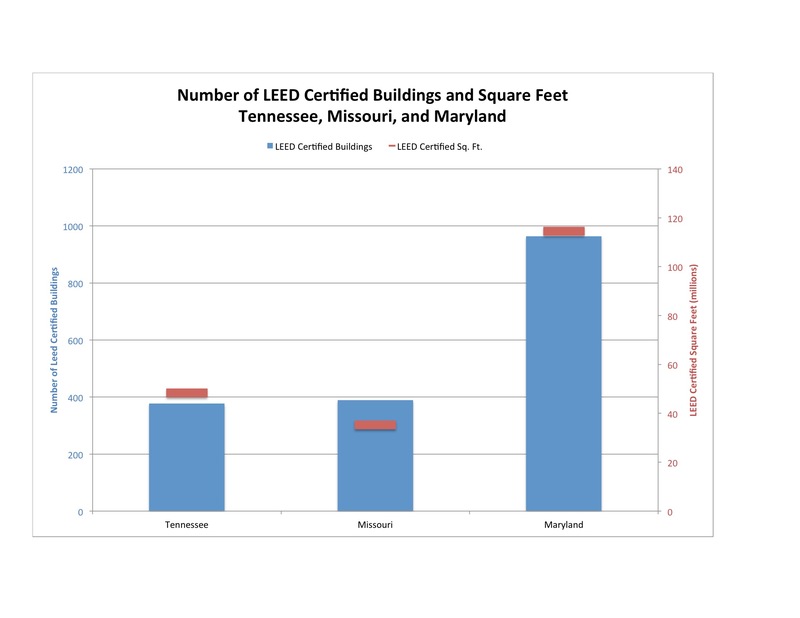 Tennessee has 377 LEED certified activities (48.35 million square feet), and Maryland has 964 (11.4 million square feet). Figure 1 shows the data, with the number of LEED certified buildings in blue and the LEED certified square footage in red. Clearly, green building has caught on in Maryland to a much greater extent than it has here. It’s too bad – if you could deliver health benefits to those who live and work in a building, while at the same time improving its net operating income by 28.8%, you’d think that you’d want to do that, wouldn’t you? Explanation of Energy Star and LEED Certification: ENERGY STAR is a building energy benchmarking program operated by the U.S. Department of Energy. Building owners enter their building’s energy consumption (from utility bills and similar sources) into a computer database. The database then compares the building’s energy consumption to that of other similar buildings. In other words, hospitals are compared to hospitals, schools to schools, office buildings to office buildings, etc. The program then gives each building a rating from 1-100, the higher the number the better the building’s energy performance. LEED is an acronym that stands for Leadership in Energy and Environmental Design. To achieve LEED certification, a building must incorporate a suite of technologies that improve the building’s environmental performance in a number of areas, from energy consumption to indoor air quality to water consumption, and others. The LEED system is administered by the U.S. Green Building Council. MoGreenStats is now going on break for a few weeks. The next post will be scheduled for August 24, 2017. Happy trails ’til then. Visit MoGreenStats, a blog exploring Missouri’s environmental statistics, to read more analysis of environmental statistics and reports. Department of Energy. 2017. Utilizing Commercial Real Estate Owner and Investor Data to Analyze the Financial Performance of Energy Efficient, High Performance Office Buildings. Downloaded 7/9/2017 from https://energy.gov/sites/prod/files/2017/05/f34/bto_PilotResearchStudy-DOEFinancialDataInitiative_5-8-17.pdf. Miller, Norm, Jay Spivey, and Andy Florance. 2008. Does Green Pay Off? Published by U.S. Department of Energy. Downloaded 7/10/2017 from https://www.energystar.gov/sites/default/files/buildings/tools/DoesGreenPayOff.pdf. The Green Building Information Gateway, an online database operated by the U.S. Green Building Council. Data accessed online 7/9/2017 at http://www.gbig.org.